In our modern lifestyles it's often hard to stay connected with our own center of gravity... in the daily rush, it's easy to forget to nourish ourselves through our connection with the natural world and community. In many communities, the inter-generational mentoring structures that make up the older place-based cultures have broken down. Many now feel isolated, feeling like they have to "go it alone" or primarily rely upon their nuclear family for support. 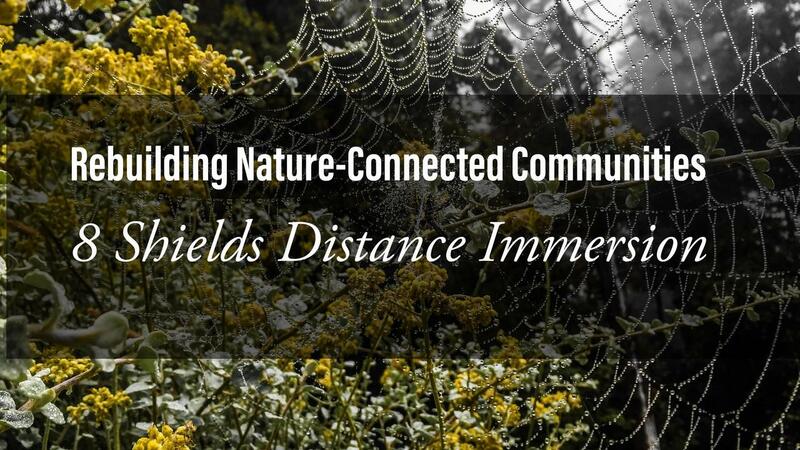 At the same time, many report a feeling of disconnect from the natural world, and wonder how to live more in tune with the patterns of nature, or if this is even possible. This isolation and uncertainty has become the norm for many today, but it wasn't always this way. What happened? Where did truly supportive community go in the modern era? And, what has become of our relationship with nature? Culture used to be a thing that truly supported community well-being. At it's best, this means a culture also supports individuals to shine in their gifts and roles that support the larger community. It also means that the culture guides the community to work in alignment with the cycles of nature surrounding the culture. The cultural mentoring structures, mostly lost in modern times, historically have supported each individual in discovering their unique gifts. The ancient cultural teachings served to awaken a person's connection with the natural world, which in turn regenerates the leaders and innovators of tomorrow that guide the culture forward. The lack of culturally-supported alignment with nature is now catching up with our modern society. Richard Louv, author of Last Child in the Woods and Vitamin N, coined the term "Nature Deficit Disorder," which describes how our loss of connection with nature has resulted in widespread behavioral problems and despair, as well as a stunting of human development. Technology addictions and other addictive behaviors, depression, feeling a lack of purpose, isolation, divorce, stress, and anxiety are all systemic issues that can be traced to a massive loss of culture. The purpose of culture is to open connection with our deeper selves, each other and the natural world. 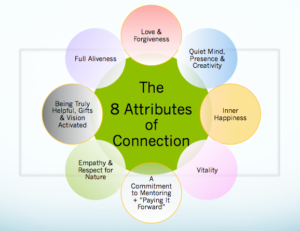 The 8 Shields Distance Immersion training will guide you on a personal transformation journey that will awaken the following attributes in you and in turn activate your natural leadership abilities and in turn awaken them in others. Living in your full potential and awakening your unique genius starts with intention, which begins with awareness. Creating an engaging learning or transformational experience requires awareness of the subtle. This is why in many traditional cultures, it is the trackers who later become the healers, teachers, and cultural wisdom keepers. Most people have heard of a magnetic field. You usually can't see or feel a magnetic field unless you have special equipment. But if you run a small magnet across some iron filings, what happens? All the bits of iron align with the magnet's field. The magnetic field is invisible, but its presence creates transformation. Culture is often invisible, too. Yet it impacts us every day whether we realize it or not. Every school, team, workplace, and situation where people do things together takes place within a cultural field - an often invisible matrix of attitudes, beliefs, and subtle awareness that generates action. A well-thought out learning culture enhances connection, engagement and learning exponentially. At our in-person programs, we utilize a powerful team-based facilitation model that weaves behind the scenes to amplify the learning and connections at each event. We call this team model the “Acorn,” based on the amazing invisible potential of an oak tree hidden within the smaller form of the acorn. The Acorn team creates a vibrant tapestry of experiential learning and connection that adds many layers of depth to an event. The Acorn Model is part of the “secret sauce” that makes our Art of Mentoring events so engaging. The 8 Shields Acorn Model can be applied in many team settings, from educational settings to community-based events, conferences, businesses, schools, and more. An Acorn is a team of people working together behind the scenes to create a connective field for a larger group experience. The Acorn is at the core of the Art of Mentoring training model that has inspired hundreds of learning communities around the world in the US, Canada, Austria, Germany, UK, South Africa, Israel, Australia, France, and beyond. The Acorn Team Model is a proven strategy for weaving a powerful connective field that ignites learning, transformation and teamwork. It's been applied for 30 years around the world at schools, leadership teams, camps, community events, and even at weddings! The 8 Shields Distance Immersion is designed to guide you in creating an Acorn team for your local community events. Whether you are gathering friends for something as simple as a a potluck experience, or want to create a team to support your camp or event, this 9 month distance training will walk you step by step through gathering, training and implementing an Acorn. For those who aren’t currently engaged in a project, or more interested in a personal transformational experience in 8 Shields nature connection and culture repair, this training will guide you through exploring the natural archetypes within us as well as core routines and practices to activate your full potential and awaken your deepest gifts. Experience dynamic group mentoring calls with Jon Young & the 8 Shields Team, and gain depth knowledge through online learning materials in between calls. We will guide you to go beyond theory through regular practical applications in your local setting. Renewal of Creative Path Toolkit. Winter block of the course includes a deep dive into your personal connective system, creative visioning, and community support network. This process alone is life-changing, and in the context of community mentoring will add a whole new dimension to your journey. Acorn Leaders Toolkit. 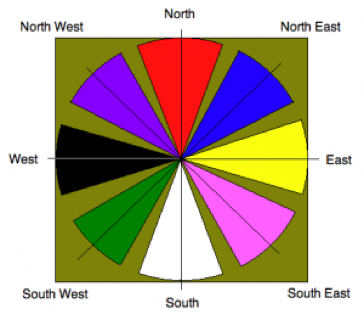 A complete map of the 8 directions team model of the Acorn Wheel, from archetypes through logistical actions. Learn how to hold each position effectively in an Acorn Team to support your project or organization, or for your own self actualization and nature connection experience. Coyote's Guide Digital Edition. Essential mentoring philosophy and techniques that can be activated through your Acorn and within yourself. Social engagement skyrockets learning because it comes from multiple angles, from each person's unique perspective. This engages one's whole being in the learning process. Your journey will begin with a 1-on-1 assessment call with one of our highly skilled 8 Shields mentors. This call with a skilled Acorn facilitator will help you set goals, orient to course materials, and maximize your learning journey. Over the course of the nine months you will receive two additional followup calls with your mentor to chart your progress, clarify and refine your implementation, and then wrap the bundle on your journey. If you are called to step into your deepest gifts and greater health and well being. Or you are teacher, mentor, therapist, outdoor instructor, elder/uncle/auntie or “extended family” member, or part of a larger learning community or team environment, you will gain skills that build connection and enhance learning and community for yourself and others. Learning isn’t just about imparting information. It’s also about creating opportunities for dynamic, engaging connections to form. Before there were the formalized schools and institutions as we know them in the modern era, how did people learn? How is the “human operating system” already hardwired and optimized to absorb experiences and lessons? The 8 Shields Model was developed through the exploration of these questions. We searched worldwide for universal principles that generate connection-based experiential learning for all ages and stages of life. For over 30 years, we have tested these processes and honed our understanding of the principles that develop connection. These tools enhance team-building, group resiliency and greatly support group facilitation processes. Much experiential learning actually happens “invisibly” - through role modeling, storytelling, and the art of questioning, to name just a few of the universal elements we’ve identified. In this way, the 8 Shields approach is different than primarily didactic, lecture-based learning models. We go out of our way to intentionally create “sideways learning” processes that impart information and experiences in engaging - and often unexpected - ways. Learn the foundational theory and tools of the Acorn methodology in a step-by-step approach through monthly group training calls and online course material in between calls. Additional options are available on a limited basis to apprentice as a “shadow” with a skilled Acorn member at live events throughout the year at selected 8 Shields events. Course content is taught in a layered approach that gives participants time each month to embody the mentoring principles through personal reflection and activities, applied community projects, and group discussion. For those who are primarily focused on your own personal transformation, you will engage in nature based practices and routines and through practicing embodying the archetypes in the directions of the Acorn Leadership Model, you will strengthen your ropes of connection with nature and yourself and in turn awaken your full potential. What you put into the experience is what you will get out of it...we have designed this program's calls and activities to give you both the foundational theory and the structure to implement what you are learning. We were amazed at what last years' cohort designed and implemented around the world - we can't wait to see what this year's group brings forward! -Weekly 1 1/2 hour Village Talk calls (Tuesdays). Experience mentoring and the art of questioning with weekly topics around connection building. Meet other mentors, facilitators and fellow journeyers from around the world. Each call has a keynote from Jon Young, and is hosted by skilled 8 Shields mentors. Choose from 11am, 4pm, or 7pm pacific call times. -Sixteen 1 1/2 hour Art of Mentoring Leadership group calls (Thursdays). Jon Young & experienced 8 Shields mentors guide you in embodying the archetypes of nature and/or implementation of your local Acorn team through constructing fun seasonal events. -Regular sit spot time in nature at least twice a week for 20-30 minutes. Nourish yourself in nature while deepening your understanding of the Acorn model through your senses. -Participants have the option to organize 4 different local gatherings applying the Acorn Model. These gatherings will range in size according to your level of experience and your learning edge. The amount of time needed will varying according to your experience and how small or large a gathering or event you decide to organize (everything in scope from a potluck with friends to larger events). -Participation averages 3-5 hours/week for full participation. More time invested will result in more potential learning. You can adjust to what feels appropriate to you at this time in your life. "I can't say enough good things about this training. I've been hoping for years to learn more about how to put the 8 Shields Model into action through the Acorn approach to creating events. This training was the answer to so many questions, and an excellent launching pad for getting some practice. This has been foundational training for me. Eventually, I hope to include more of this kind of work in my residential community as well." Village Talk Group Mentoring Calls are Tuesdays at either 11am, 4pm or 7pm PT each week for 1.5 hours. Home Study Materials: Renewal of Creative Path & Acorn Leader's Toolkits, Digital Coyote's Guide. 16 Foundations of Cultural Mentoring Group Calls. Yes! Get me Started Now!